All year, there’s seemed to be considerably fewer Canada geese (AKA ‘sky carp’ or ‘flying rats’) in Ames Park than in previous years. Last week was no exception. The big flocks were landing south of the 5th St. bridge. Note the lack of goose poop on the walking trail in Ames Park. 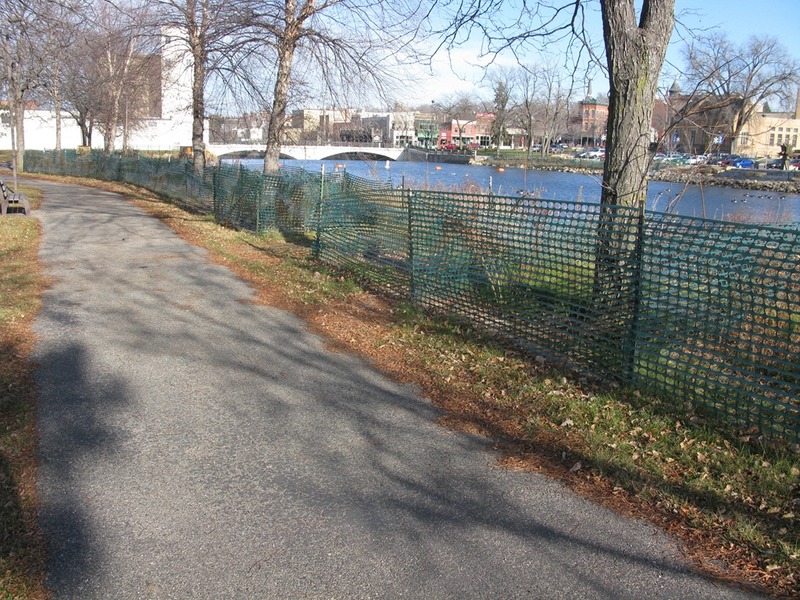 The City’s river plantings tactic is evidently working, though it remains to be seen what’ll happen once the fencing is removed. Kudos are in order! And it’s not as if there aren’t a lot of geese around, because there are many dozens. I look forward to the removal of the fencing for aesthetic reasons and hope that the tall new growth will do the trick. I wonder if Carleton’s new plantings will have a similar effect. The last time I walked over there, Upper Lyman Lake at Carleton was still thick with geese. I wonder what will happen once the new trail or walk way is built on the east side of the river… will they use the same tactics? Where do you suppose the geese will move to if that happens? The geese are still here — about a week ago, I noticed what looked like 100 or more geese gathering on the soccer fields off of Jefferson Parkway, and then a day or so later, the horde had moved across the parkway to some unfortunate individual’s backyard. I was part of the team that did the restoration work on Lyman Lakes. I also did a similar project at Silver Lake in Rochester. Geese do not like to roost or browse in tall vegetation. The trails at Silver Lake are clear of droppings except in those ares where the grass is short and people feed the geese. 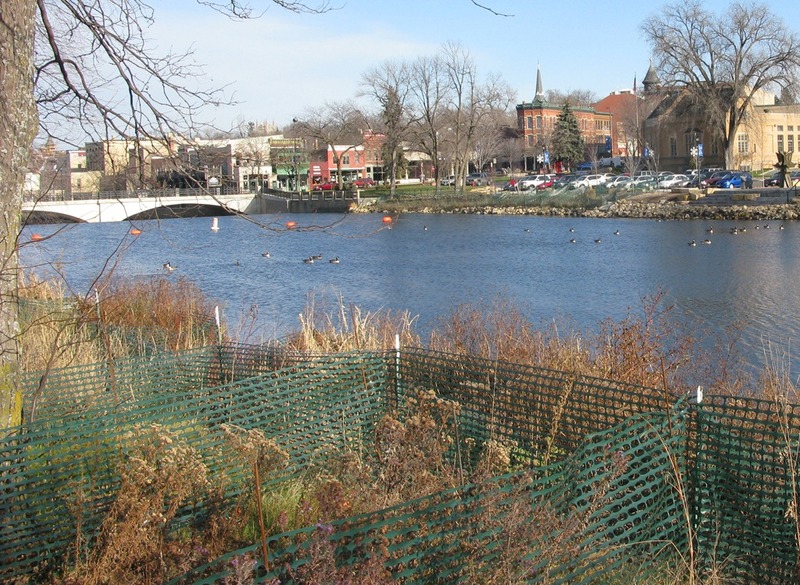 We have removed the fences in Rochester and the geese are not coming into the vegetation. In the Spring we are going to burn are prairie planting. I believe that will be the acid test. Will the prairie be allowed to grow to height again or will the geese keep in browsed low? There are still plenty of geese on the lake itself. Just as there are on Lyman Lakes. I am interested to see if the projects will work over several growing seasons. Paul, thanks for chiming in here. From what you can tell, will the river plantings along the Cannon downtown be effective? They won’t burn those in the spring, will they? I LOVE Geese. I would hate for them to think they are not welcome here. Feel free to send them all over to my yard!